Port wines? Buy Port from Portugal online quickly and safely! Le Connaisseur runs a wide range of Port wines, including Port wines of Graham's, Smith Woodhouse, Dow's, Quinta do Vesuvio, Croft, Kopke, Andresen, Delaforce, Calem, Niepoort and Fonseca. If you are looking for a Port that is not on our website please contact us. 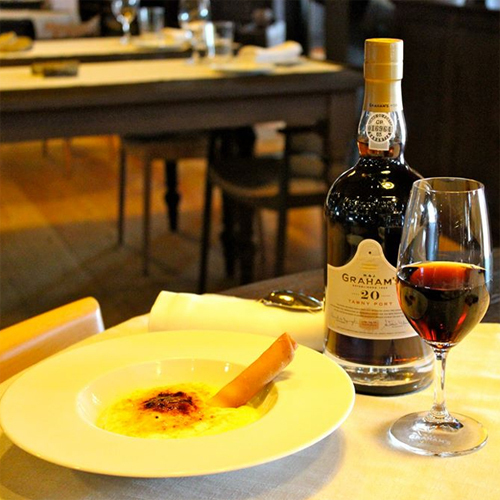 Port is a fortified wine from Portugal, with an alcohol content between 18 and 20 percent. It is a typical sweet red, white or rosé wine, served as an aperitif, digestive or dessert wine. When ordering your wine at Le Connaisseur, you can count on solid advice. Want to know more about a port or a winery? Then we will be happy to help you find an appropriate wine. And if you made your choice, you can easily order.